With Solid State Drives or SSDs gaining more popularity, due its speed and reliability, most people are trying to migrate to those. But, the price being the bottleneck, it is preferred by users, who do not need a lot of storage for the very high price per GB but want the best performance. 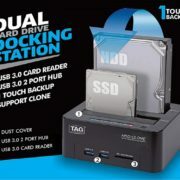 But, if you need both reliability and speed, you can have both SSD and hard drive, where you can boot your computer and access all the programs from the SSD, and keep all the important files on your hard drive. I swear it will improve the performance. 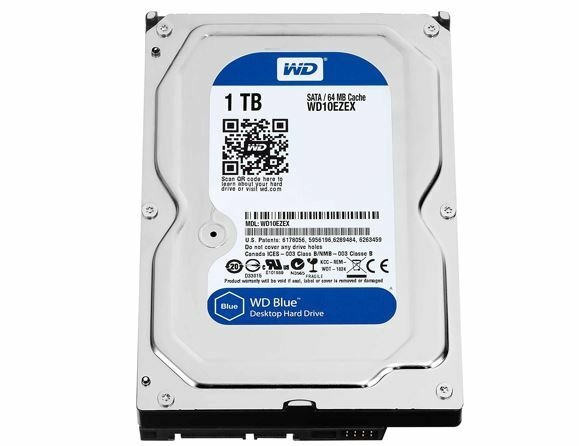 WD or Western Digital is by far the most popular manufacturer of Hard Drives and SSDs nowadays, and it is more popular than Seagate Hard Drives, as well. Well, Hard Drives are not only important for computers, but it also has used in other spheres of life. 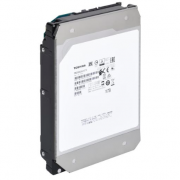 WD has solutions for all the users, who are in search for a hard drive, to fit their purpose. At the time of building your own computer, or in case you simply need a hard drive, know the requirements first, and then go for the most appropriate color of WD hard drive. If your favorite color is red or green, WD Red or Green might not be the best fit for you. Well, that is obvious. I will be discussing about the various colors, WD Hard Drives come with, and which one you should go for. 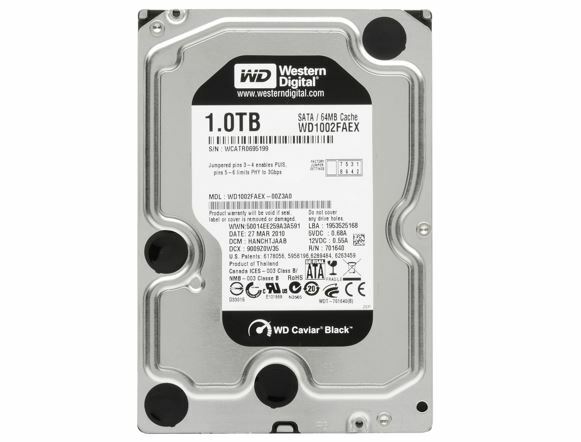 Without any more discussion, let’s find the first variety of WD Hard Drive, which you can find. WD Blue is the most basic hard drive, which is highly sold in the market, as it is the most affordable one, and you can do almost all the basic computing tasks on your desktop with this guy. It is thus, a general purpose hard drive. From office work to surfing, and other small tasks like basic programming, web design, will give optimal performance if you opt for WD Blue. But, if you are a game freak, or do a lot of high end and heavy tasks like video rendering, high-end programming, I will not recommend WD Blue. Though it offers 5400 and 7200 RPM speeds, the hard drive is not well-optimized for heavy tasks. 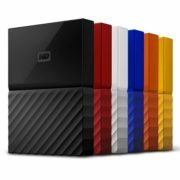 WD Black is better compared to that of the WD Blue, and is really meant for the power users out there. If you are a professional, do high-end tasks like video rendering, and want a great read and write speeds, WD Black is for you. I will not recommend WD Black for normal activities, as you will not need that performance, and the extra money you pay for this guy will be a complete waste of money. Due to the high performance, you will not get a low price per GB, which is obvious, as you are paying extra for the performance. High-end computing, power users, and gamers. 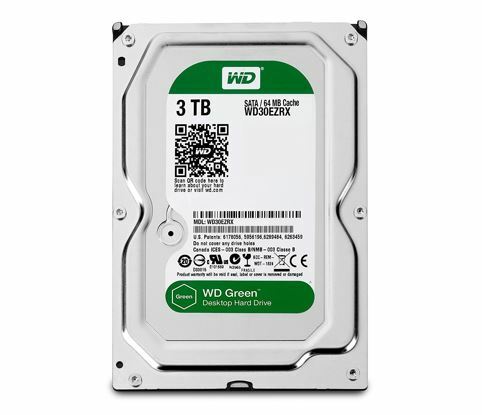 I will recommend you to go for WD Green, if you are looking for a secondary hard drive, where you want to keep backup of your existing files, and do not want very good performance. You might store your document files, photos and other small files in WD Green, so that you do not suffer from problems, when to try to access the same. I will never ever recommend you to use WD Green to boot your computer, or use is to keep all the installed programs, as it will be the biggest bottleneck, even for a very high end system backed with high end processor, RAM, and GPU. Use as a secondary storage, for keeping file backups, RAID 1, Keeping data safely (low operation speeds lead to more data safety). 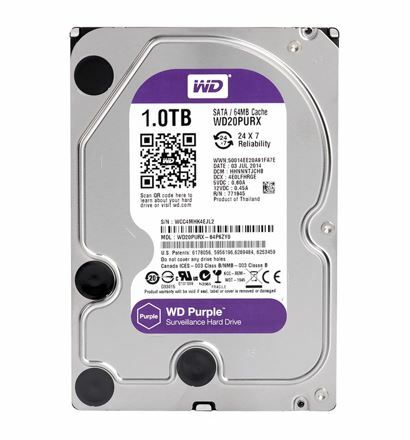 WD Purple is not at all recommended for your desktop, as it is not meant for that. This guy is meant for surveillance systems, which means, the drive is highly optimized to writing data continuously. I’m not saying, it is unable to read data, but as you all know, in case of surveillance systems, data is written 95% of the times, and reading is done once in a blue moon. It is also optimized to work 24×365 hours, without any breaks. Computers or desktops do the task of reading and writing at the same time, and thus, writing might be optimized, but reading will be slow, which will eventually reduce your PC performance. Surveillance systems, places where writing data requires optimization. WD Red is not even meant for power users. It is meant for NAS attached storage, and is well-optimized for that. In case of NAS attached storage, reading and writing take place simultaneously, but reading is more compared to that of writing. 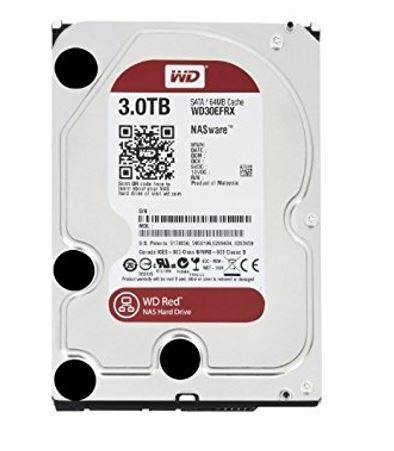 WD Red being a Network Attached Storage or NAS attached hard drive, the prices are comparatively high, compared to that of normal hard drives. The WD Red, just like WD Purple, is optimized for highest uptime. The reason is obvious. If the hard drive turns of for a minute, the server will be down. If you are setting up a small home media or office file server, I will recommend WD Red, for the best performance. NAS places where reading data requires optimization, data sharing. WD Gold is an enterprise-class hard drive, which is used for a number of commercial and enterprise based tasks, which include web hosting, where data needs to be read and written efficiently every time. Just like WD Red, it offers maximum uptime, and the reliability needs to be more, compared to that of WD Red, as it does a more serious task. 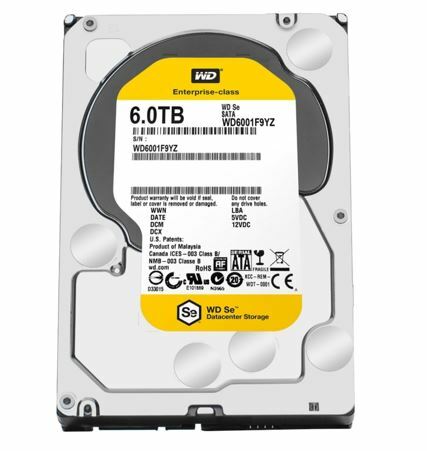 WD Gold uses the latest and the most advanced technology, which not only offers high-speed data read and write, but the reliability is also equally important, at the same time. Web hosting, for maximum data integrity, high speed read and write. Cache memory for a hard drive is similar to cache memory on a processor, which stores the data for a small interval of time, before it is sent to the hard drive or to the computer system, for the purpose of processing. You can call it the buffer. It is all about the definition. But, you should know, why more cache memory on the hard drive is an advantage for you, without getting into too much technical jargon. With a better cache memory, the hard drive can handle more amount of data, which means, data will be broken into bigger fragments, for the purpose of reading and writing. If the hard drive can handle bigger fragments at a time, it will have better performance. RAID is the abbreviation of Redundant Array of Inexpensive/Independent Disks, where multiple disks are mixed and matched to fulfill a certain goal. RAID 0, RAID 1, RAID 10 are highly popular, and I will discuss about RAID 1, as it is associated with this article. RAID 1 is a setup, where you will need 2, 4, 6, or basically even number of hard drives, where the content of a single hard drive will be present as a copy on a second one. Thus, if you are having two hard drives, you can keep the copy of the data on that hard drive to the second one, so that your data is not lost, once one of them crashes. Now you came to know about different WD hard drives, and hope you can pick up the best one, according to your requirements. If you want to know more, you can comment it down below.